Congratulations goes out to all of these Coaches who were the top 150 out of our Entire Team of 20,780 members for Product Volume this past week! Wow this was an amazing week just a few days into the product launch of the new 21 Day Fix! I am so amazed at these numbers and so happy for and proud of everyone that experienced their top sales week and many their highest weekly income ever! If one of your immediate teammates is on this list than for sure recognize them with a Great Big Post on their wall to show them how proud that you are of their achievement! You know how great it feels to help so many new people with a great new product like the 21 day fix so PLEASE celebrate this win with your teammates as they are super excited about all of their growth this past week! I have to give a Special Congratulations to Noel Crowder and Leigh Anne Guveiyian for an AMAZING week where each of them Personally did over 2,000 PV last week alone, incredible!!! 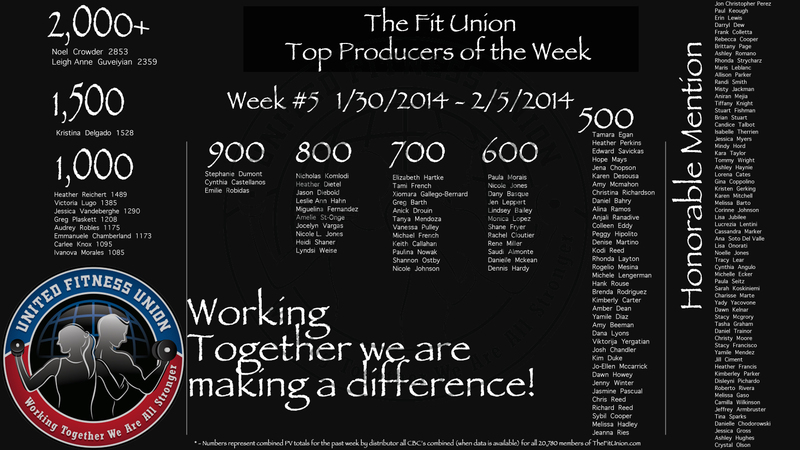 Just 400 PV in one week will get you an Honorable Mention on this list too! This is easy to accomplish if you promote and host a new challenge group! Ask you team if there is a new Coach Basic group that you can attend and get your business growing. There is no time like the present! It may be most effective to copy your confirmation email to your selected coach so that he or she can make sure they STAY your success partner!